Folding arms awnings are some of the best shade solutions that can easily address the demand of Australian outdoor living. These provide excellent sun and weather protection and they are perfect for your terrace, patio, restaurant, and even entertainment area on your lawn or on your backyard. You can use these to entertain guests outdoors without worrying about the sun’s harmful UV rays and unexpected rain showers. Do you ever wonder if folding arm awnings are for you? Then, let me provide you with all the important information so you can easily make well-informed decision. Folding arm awnings require no posts, frames, or beams for support, which means that the area below is free from obstruction. This is something that you’ll appreciate if you need to cover a parking space without worrying about hitting the posts when you park your car. 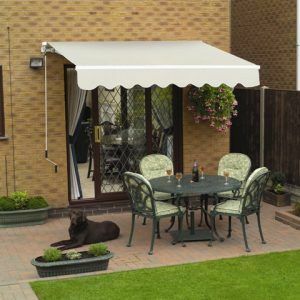 Folding arm awnings can be customised based on your preference. Depending on the model and how wide is the area that you need to cover, you can order up to 12 metres with projection length of up to 4 metres. These shade solutions are designed so you can easily position them horizontally or down to approximately 40 degrees. Depending on your need, there are added features that you can take advantage of including sun and wind sensors and motorisation. If you decide that folding arm awnings are for you, make sure that you order them from the best in this industry – Global Shade. We are the leader in providing high quality yet affordable shade solutions across Australia’s major cities including Gold Coast, Brisbane, Sydney, Melbourne, Hobart, Adelaide, and Perth. If you would like a free quote, simply contact us at https://www.globalshade.com.au/contact-us/ or call 02 6672 8104 today. Custom Awnings—What Choices Do I Have?